From the blog of Jeff Richards, this one is truly worth reading. He gives a seven points advice to a startup CEO. Wow! Thats what I was looking for! If you are a web admin, or a web developer, or a person learning about the web technologies out of curiosity, this is the best place for you. The owner of the site (David?) maintains a cool list of tools, tutorials and other references. You just get what you are looking for. Thanks to whoever is the owner of the site. I am new to Windows world. Hence please do correct me if you find any terminology to be incorrect than the standard ones. I would be more than glad to stand corrected. I am learning about the LDAP and Active Directory servers. We all know that for logging into a domain, active directory (AD) service for that domain is used. But how does the windows running in your workstation find out which AD to be contacted? This NS look-up command will return a bunch of servers, and one of them will be used to authenticate the user. Each of the blocks in the response will have the port in which the server is listening as well. Replace domainname above with the actual domain name in which you would like to find out the active servers. Okay, thats the theory part. Now hands on. Try these commands in your workstation and convince yourself with the results. nslookup This will start the nslookup process. The two commands entered below are in the nslookup prompt ">". _ldap._tcp.domainname Replace domainname with the actual domain that you would like to perform look-up. There is an excellent tutorial available on Active Directory architecture, which might be of good help in terms of understanding what AD is. You might find this survey to be interesting. In summary, more and more new code is written in PHP. But more and more new projects are being initiated in Ruby and Python. One trend is very strong: Perl is witnessing a steep fall in new lines of code, active developers and new projects. Managed to steal some time to read another chapter in Programming Pearls. As always, it was truly a refreshing experience. You are given a huge array of unsorted numbers (32 bit integers) in a file. Let us say there are 4 billion numbers in that file. It is obvious that some numbers are missing (why?). How will you find out the first missing number? Provide your answer(s) with explanation about space and time complexities. Yesterday it was Top Coder Single Round Tournament 324. But they had made a typo when they announced the results. Instead of "SRM 324", they had announced the results with title "SRM 234." I managed to answer the 250 points and 1000 points problems. And I successfully challenged a 250 points solution as well. Still I don't know why my ranking went down, instead of going up. You can view my ranking here. I tried it and its really good. Though there is no noticeable difference apart from look and feel, the Firefox site boasts a lot of things. I think one of the coolest features that are added to this edition is spell check on text input boxes. I am not sure if there is any other browser that provides this feature, at least none of the browsers that I use provides this feature. There is another feature called "Caret Browsing" in Firefox (I think its around there for sometime). Its really useful when you wish to move around or copy and paste from a web site that offers more textual content. You have to press F7 when you are in a web page to enable caret browsing. You can use your mouse to move here and there and select contents. It will really be helpful for Unix people who are more used to using key boards to move around. I would suggest you to refer to the key board short cuts page in the help section of Firefox browser. There are better ways to move around across tabs, selecting tabs randomly, etc. One of the controversies that I think Firefox might run into might be the integration of anti-phishing features with Firefox and enabling them by default. Its not very trivial to appreciate. As per Firefox documentation, Firefox periodically collects information from net (from what source?) and verifies the sites that you visit against the list that it has. In case if the site you visit is present in the list of phishing sites, you would be prevented from visiting that site. Okay. Enough of product advertising. A trivia about this release of Firefox. 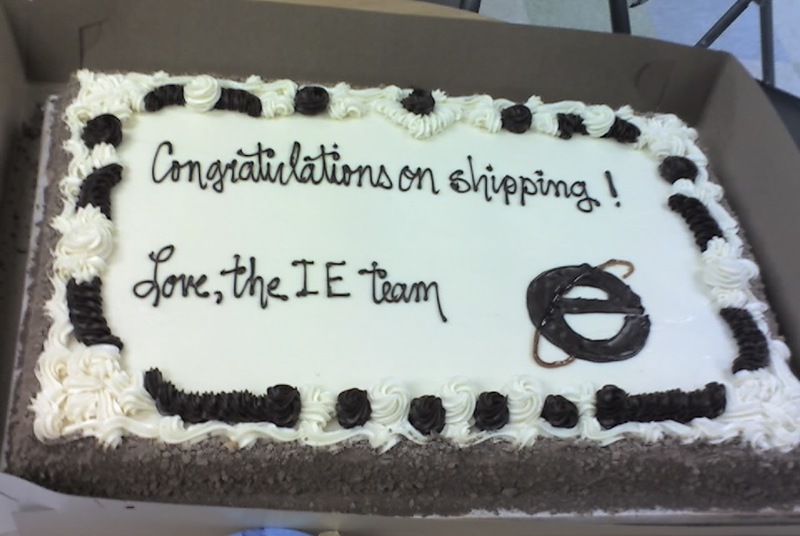 There is a news on the net that Internet Explorer team from Microsoft has sent a cake congratulating the shipping of Firefox 2. I am not sure how authentic this information is though!